Premier fires back at airline: START FLYING NOW! Premier Dr D Orlando Smith has fired back at BVI Airways, saying his government has fulfilled its financial obligation to the airline, and he hopes the carrier will begin flights between the British Virgin Islands (BVI) and Miami without any further delay. 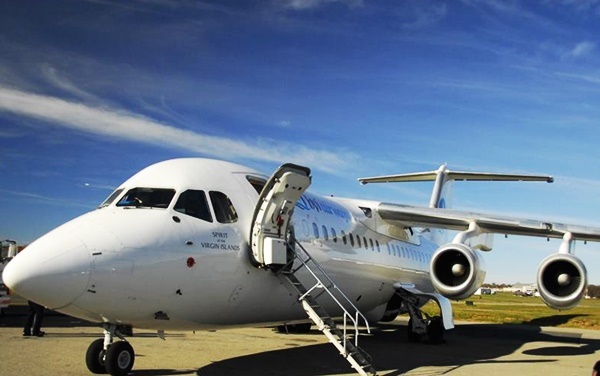 “The government has fully discharged its responsibility to BVI Airways by providing $7 million as a subsidy in keeping with the terms of the agreement. The government therefore hopes that BVI Airways will begin flights without any further delay,” Premier Smith said in a statement received overnight. It came hours after the privately owned airline dispatched a press release in which it blamed the BVI government for it missing the initial date for the commencement of flights. “The original October 2016 launch date was contractually extended as a result of delays stemming from the Government of the BVI,” BVI Airways had said. The airline yesterday said it also obtained all the necessary regulatory approvals to launch the direct service, but there are still “outstanding obligations and matters” between the parties to be resolved. BVI Airways did not specify the outstanding obligations, but speculation has been rife that it may be seeking more money from the BVI government. Up to April this year, however, Premier Smith told the House of Assembly that “BVI Airways has not requested any further funding from the Government of the Virgin Islands”. The developments over the last 24 hours, in the meantime, suggest that all is not well between BVI Airways and Premier Smith. The two parties together survived intense public outcry after Premier Smith announced that he would pump $7 million of taxpayers’ money into the private airline that already owed his government. The airline, at the time, was also not in possession of any plane to fly the route between the BVI and Miami. Furthermore, Premier Smith and BVI Airways stood together during tough times before the US Department of Transportation (DOT). They did so after local airline – VI Airlink, along with InterCaribbean Airways from Turks and Caicos Islands, filed an objection against BVI Airways’ flight application that had been submitted to DOT. In ruling against the objection, DOT noted the BVI government’s support for BVI Airways. “The British Virgin Islands government states it support for the application of BVI Airways, and asserts that the objection lodged by VI Airlink is contrary to the interests of the British Virgin Islands, and is interposed as an improper delaying tactic that should be dismissed,” DOT declared in February while it approved the application from BVI Airways.